Daggers have been around since early history within almost all cultures and were most commonly used to attack enemies in close encounters or for hunting. 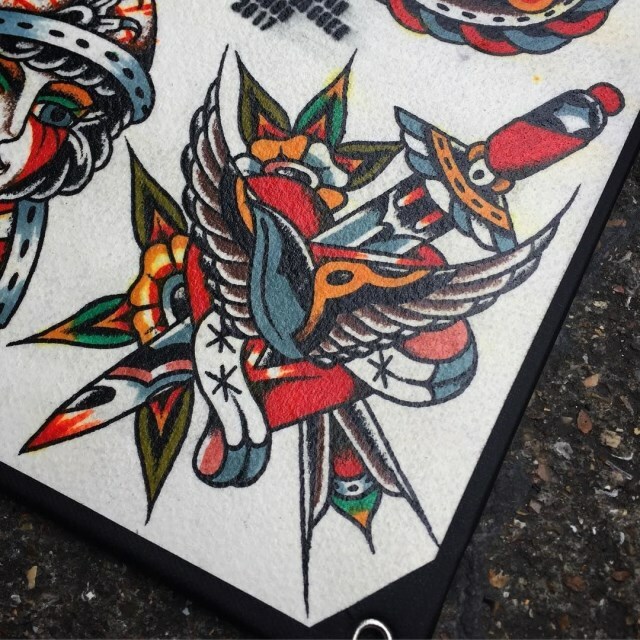 Due to their history, daggers hold a strong amount of symbolism, which is why they have found themselves within the traditional tattoo catalogue. 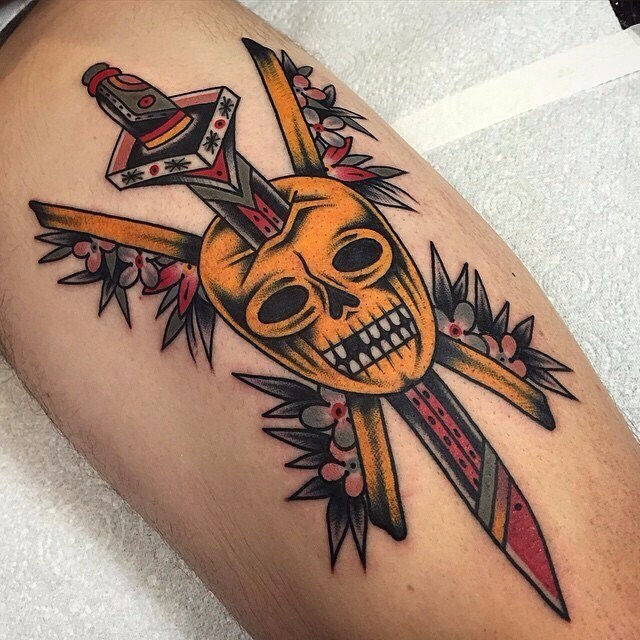 Having a dagger tattoo can represent not only virtuous qualities within ourselves but also any adversity we may experience in life; the biggest of all being death. 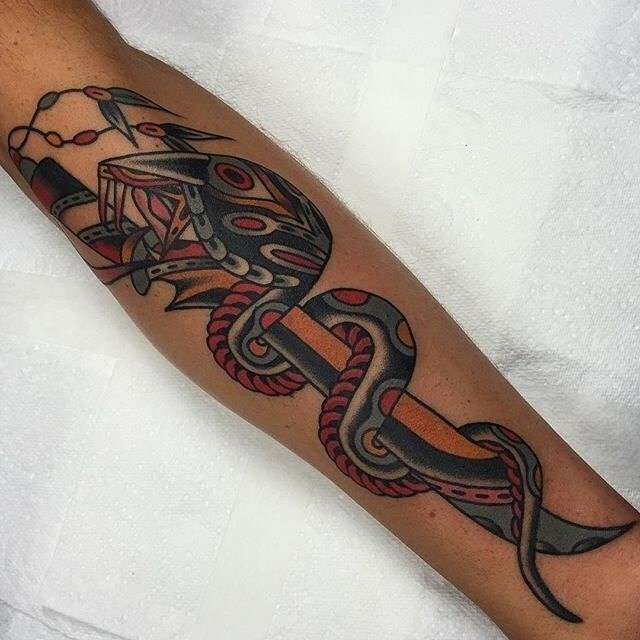 Not only is a dagger a representation of betrayal, loss and danger but it is also seen as a symbol of protection, sacrifice and bravery. So when tattooed on their own, their specific meaning can be unique, depending on the owner. 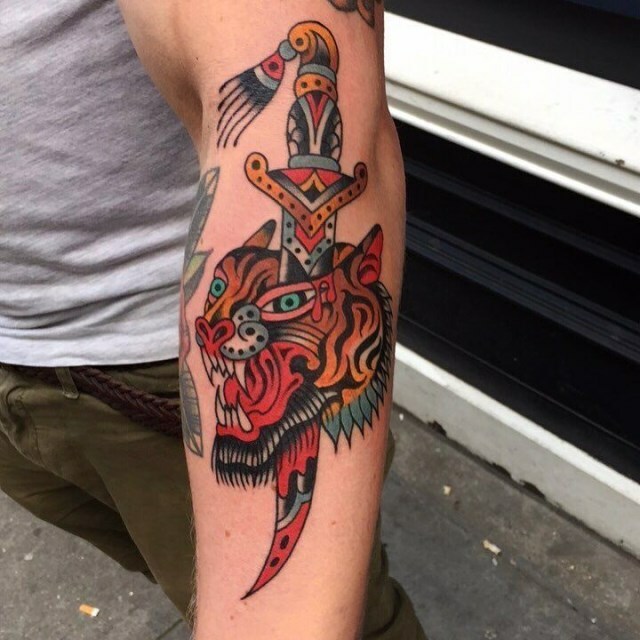 Traditional dagger tattoo designs are also often paired with other subject matter to juxtapose the good’s and bad’s which we encounter in life. 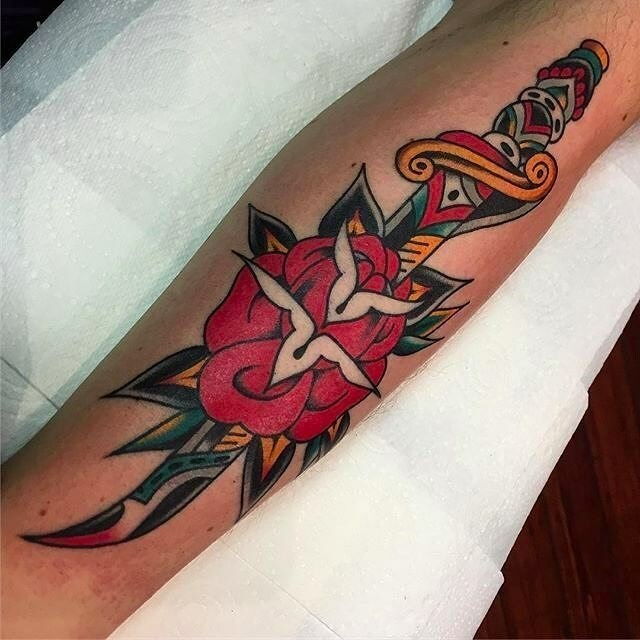 For example, there is a strong traditional motif is that of a rose and dagger combined, highlighting both beauty and pain; as well as when seen piercing a heart, that of love lost. 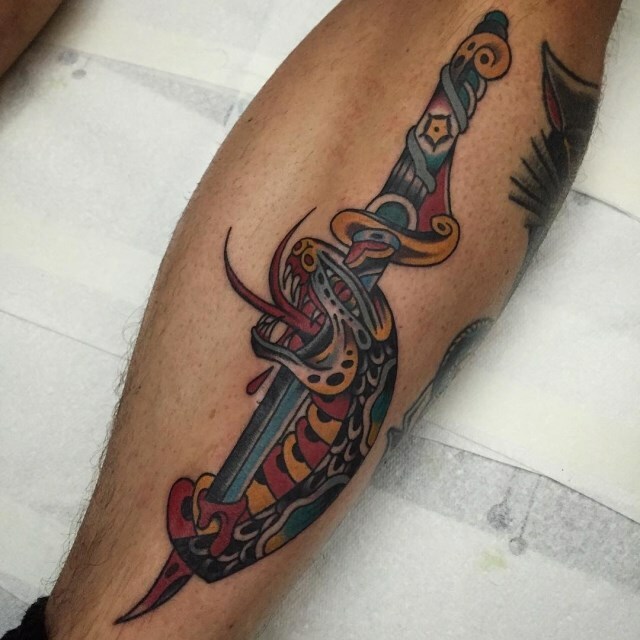 As designs are often slim and long, dagger tattoos work best in areas of the body which are like that also, such as the forearm or calf.